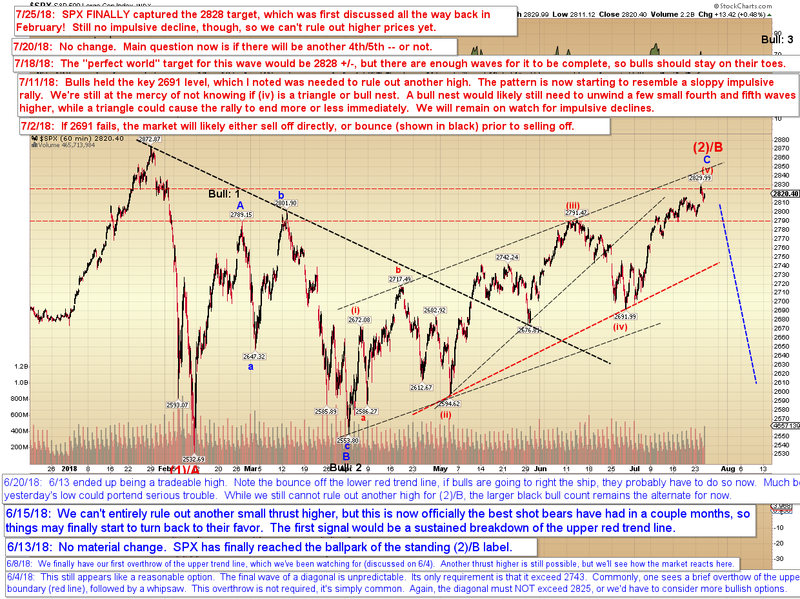 Pretzel Logic's Market Charts and Analysis: SPX Update: Longest. Wait. Ever. SPX Update: Longest. Wait. Ever. So yesterday, the SPX finally captured the long-standing 2828 +/- target, which I originally discussed in our forums back in February of this year. Not sure when I first published it publicly, but that likely would have been February/March as well. Seems like it's taken roughly forever, and it certainly hasn't been a very nice market environment for either bulls or bears over the past few months. 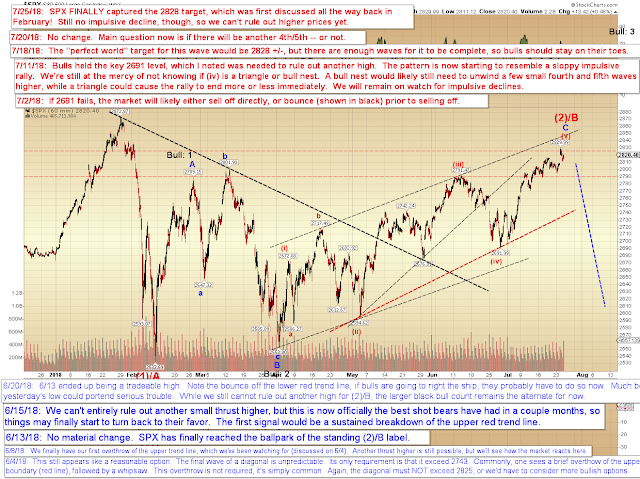 In any case, yesterday, SPX tagged 2829, making the target capture official. 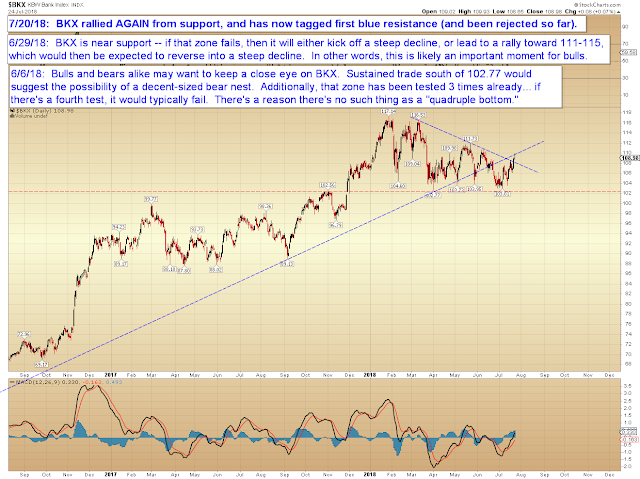 It remains to be seen if that's the "end" of the rally, or if there's additional upside still to come. 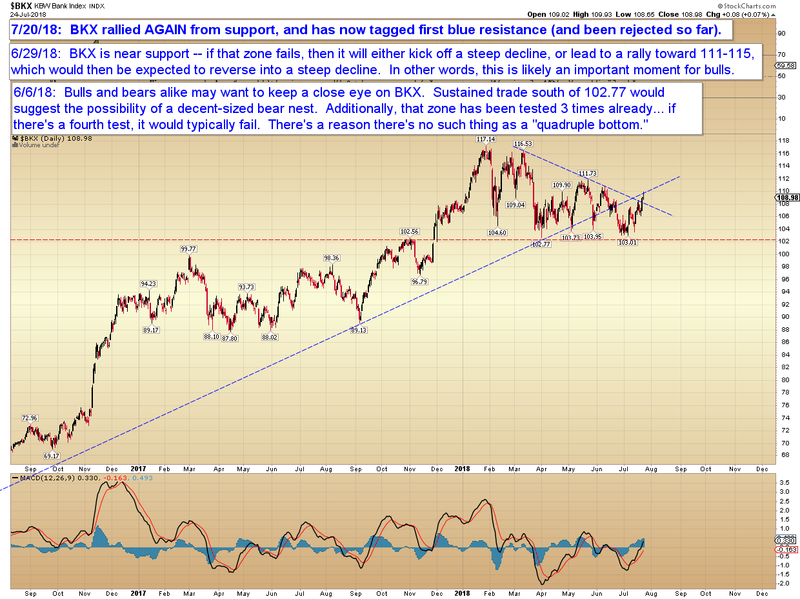 We do not yet have an impulsive decline to act against, so more upside remains an option, at least as of this writing. And of course, the bull option for this to be a third wave has never gone away, but I'm still holding that as the alternate count until the market says otherwise. In conclusion, although this market has taken a reeeealy long time to get here, all of this has been on the table (and actually reasonably expected, since extended fifths typically form complex "double" retraces) for many months, so there's nothing here to be shocked about. Yet, anyway. The market can certainly run a bit higher if it wants, and I've seen many extended fifth retraces nearly-perfectly tag the prior high before reversing. In this case, that would be the all-time high, if the market chooses to go that route. For this reason, it continues to remain advisable for bears to await an impulsive decline (I know I sound like a broken record with this for the past few months, but as anyone who shorted too early knows, there's good reason for this approach) before acting too strongly. Trade safe.